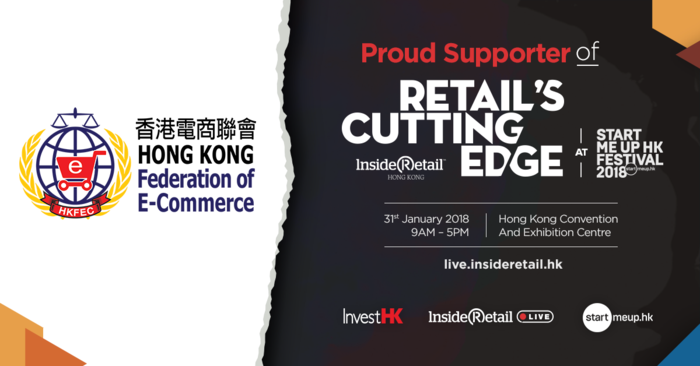 With less than a month until Retail's Cutting Edge in Hong Kong in January, it's time to take advantage of the New Year special registration opportunity and ensure your seat! Hong Kong Federation of E-Commerce is glad to support and setting up of the Panels to the event in the StartmeupHK Festival in partnership with InvestHK again. At emerging retail trends in a series of presentations by leading analysts from Hong Kong and beyond - and think about how to make the most of them before your rivals do. Buy Ticket now and enter Promotion code “hkfec20off” to enjoy special discount offer.